Description: Dash and dot are real robots, charged and ready to play out of the box! Responding to voice, navigating objects, dancing, and singing, Dash & Dot are the robots you always dreamed of having. 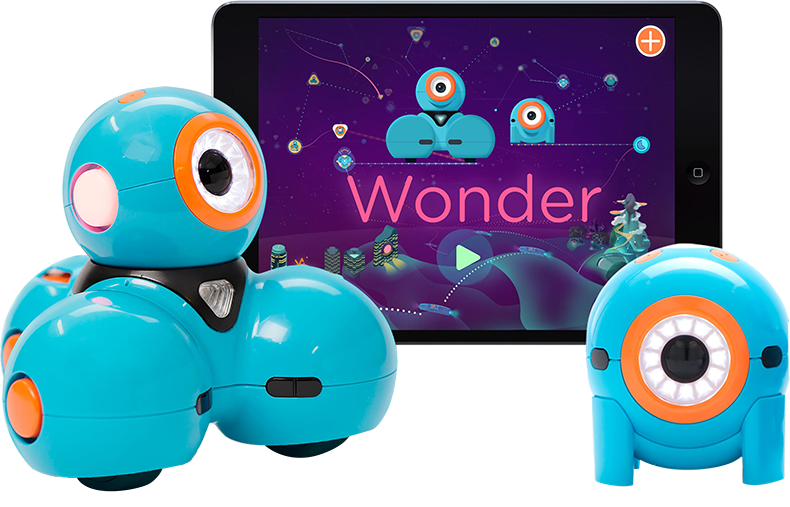 Use Wonder, Blockly, and many other apps (QR codes for download included) on your phone or tablet to create new behaviors for Dash & Dot — doing more with robotics than ever possible. No books or camps needed!